Water Temperature: Late October upper 60′s (Late November, usually in the mid-to-upper 50′s. 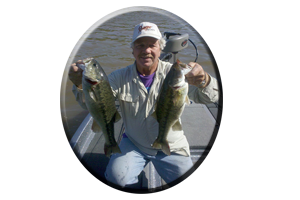 The northern waters of Alabama feature the mighty Tennessee River System, noted for its smallmouth bass attributes. 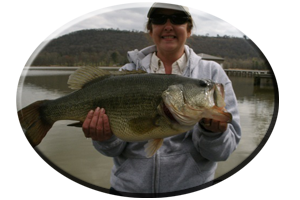 Massive impoundment’s, such as Wheeler Lake and Pickwick Lake are noted for producing tremendous catches of these hard fighting (and high jumping ) brown bass during the winter months. Sandwiched between these huge impoundment’s is a rather small lake, but only in size. 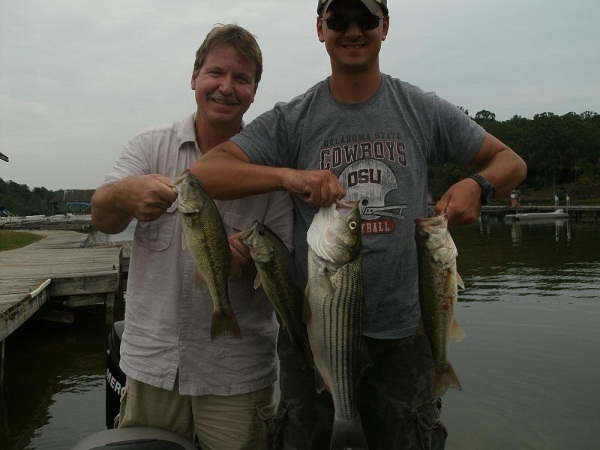 Wilson Lake is also noted for its world record size smallmouth bass. So how does Guntersville Lake fit into this picture? With very few smallmouths on record, as ever even being caught, there has to be a dominant species of bass to take the place of this ever-popular Tennessee River bass and there is, Largemouth’s, plenty of em’…and Big ones! Guntersville Lake, situated near the town hailing the same name, is Alabama’s largest reservoir at 69,100 acres. It is the first in a series of four lakes on the winding, Tennessee River System. 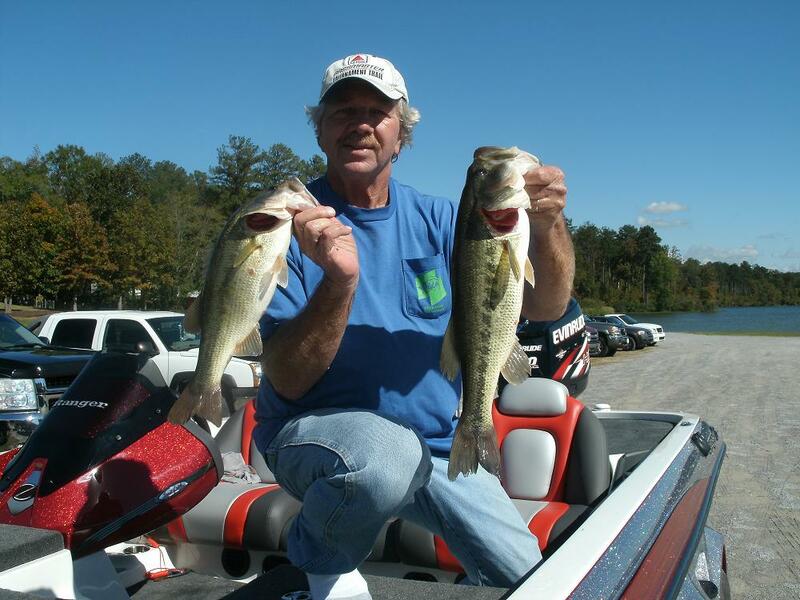 Deemed popular due to the ever increasing varieties of aquatic weeds such as hydrilla and millfoil, Guntersville Lake does go through some changes each season. Winter is one of those 3 month periods when major changes take place lakewide. Weeds begin to die (or cease growth) becoming dormant forcing bass and baitfish to seek out new homes. Varieties of weeds such as, milfoil, hydrilla and moss will begin to turn brown, especially in very shallow water coupled with a series of cold fronts, cold nights and cold, cloudy days. With very little water-warming sunshine, December and January in Alabama can be either cold and rainy or show weeks of sunshine and mild nights. This dictates where bass will be lakewide. But this is also trophy bass time on Guntersville Lake. With heavy rains the lakes upper portions have shown to be quite muddy in winter. Cold, muddy water must be avoided when targeting these huge, wintertime largemouth’s. Mid-to-downriver sections of the lake are best suited for wintertime bass. Clearer water, deeper water access, and with lake drawdown, more areas to roam with deeper feeder creeks, river ledges and drop-offs. 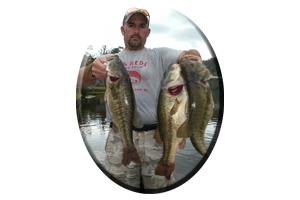 Fishing deep water around hydrilla, a deeper growing aquatic weed (which can still show signs of growth in December and January) will place your lures near the trophy sized bass that emerge for one last feeding session each winter. The colder month of February can be downright slow and test the patience of even the most determined trophy bass-seeking angler. But the efforts are well worth it with bass in the teens taken each late winter season. From top to bottom bass will still take lures as aggressively as during any other time of the year. 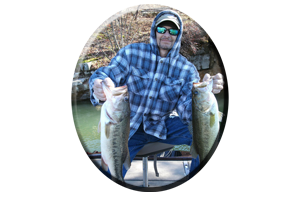 Buzzbaits, spinnerbaits, crankbaits and bottom bumping worms, lizards, crayfish imitations and jig combos have taken huge largemouth’s throughout the winter months. With low fifty degree water temperatures a slower presentation will help entice these rather slow, lethargic monsters to attack. Stout tackle is recommended for these fish of a lifetime. Week long warming trends, followed by an approaching rainy front, bring Guntersville’s big bass shallow. This calls for topwaters and shallow running lures, fished in 1-5 feet of water. Fish with stought tackle and heavy line. 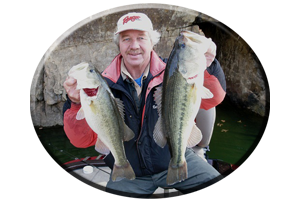 A good landing net, sharp hooks and strong line, is all that is needed to complete this recipe for hog hunting on Guntersville Lake, until spring when it just gets better. * Or you can call always call on Reeds Guide Service (205) 663-1504 for fishing Guntersville lake or any Alabama lake, year round!